Paint and humans have been together for more than 40,000 years. It is the main tool of artists that dabbles in the world of color and light. With their brush and imagination, people paints the world in dazzling display, both bright and dark, expressing what they think and how they truly feel. The need to paint (and the need FOR paint) predates society and civilization. When man were still cave-dwelling brutes it was discovered that they would ground things up to be used for pigment, with which they would paint on the cavern walls. As humans finally invented society and leave the caves behind they carried this knowledge with them. Building grand homes and temples, they adorned them with precious metals and stones and, of course, the dyes they learned to create. Also, now that they have left their caves they also had a chance to explore and discover better dyestuff outside. By the time the Greeks and Egyptians established their civilization, they have been importing dyestuff from everywhere in Europe and Asia. The method of heating ingredients and using chemical reactions to obtain dyestuffs were also being used by the Egyptians. The dye “Egyptian Blue” was created by mixing sand, lime, and copper ore. Then they cook the mixture in high heat. As the civilized world advance, the world of paint continues to gather techniques to create more intense colors. Stones like Lapiz Lazuli are grinded down into powder, mixed with egg yolks and either oil or water to create an intense blue. They eventually stopped using egg yolks as binding agents and started to use oil instead by the middle of the Renaissance period. Finally Europeans began to explore the world and the New World brought them even more materials to play with. By the 1700s the chemists and engineers in Europe took dyestuff making one step further by making synthetic colors and making a grinding machine for the ingredients. No longer would there be a need to import ingredients from around the world just to make dye. Dyes are being produced in laboratories faster than how it was in the past century. This effectively drove the price of paints down. During all that time, painters were still the ones who have been making their own dye. With the technological advancements in Europe, however, people were starting to standardize the process in making dyestuff. Most artists has stopped making their own dyes and started buying theirs from shops by the 1800s. However, most, if not all, of these paints and dyes employ dangerous and poisonous chemicals. It wasn’t until the 1900s that non-toxic paint. 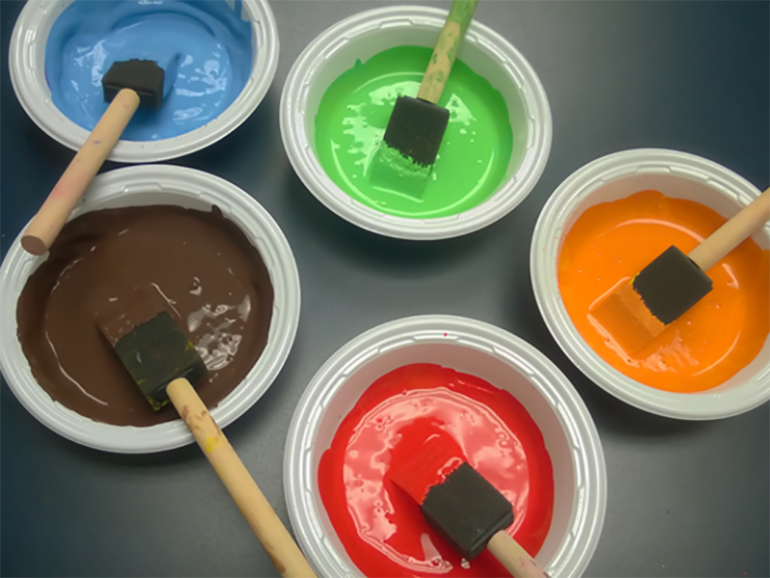 By 1940s, acrylic paint was invented by mixing together watercolor and oil. Today paints come from various types for various purposes. The paint needed to decorate houses and buildings contain chemicals to make sure that metals and walls would withstand the forces of heat and rain, preventing degradation for years. 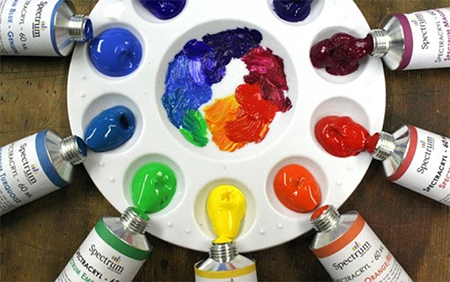 Watercolors that children love to use are produced lead-free and non-toxic. Dyes would be poured into cartridges and slot into printers. And the colors that people can use now is vastly more diverse than what people can use a hundred years ago. And development for better paints and dyes will continue on. Already, the blackest material, known as Vantablack, has been produced recently. It is material that absorbs almost all light and dissipates them as heat. The material has caused quite a controversy when British artist, Anish Kapoor, won the rights to exclusively paint with Vantablack. The artist Stuart Semple responded by making the world’s most “pinkest pink” known as PINK and the most “glittery glitter” known as Diamond Dust. He also made it clear that anyone can buy this except Anish Kapoor. He also created his very own black paint that, though not as back as Vantablack, it’s able to make 3D objects look like holes. If people can wage “color wars” like this and inspire them to create better paints and dyes then the future will surely be a colorful one.